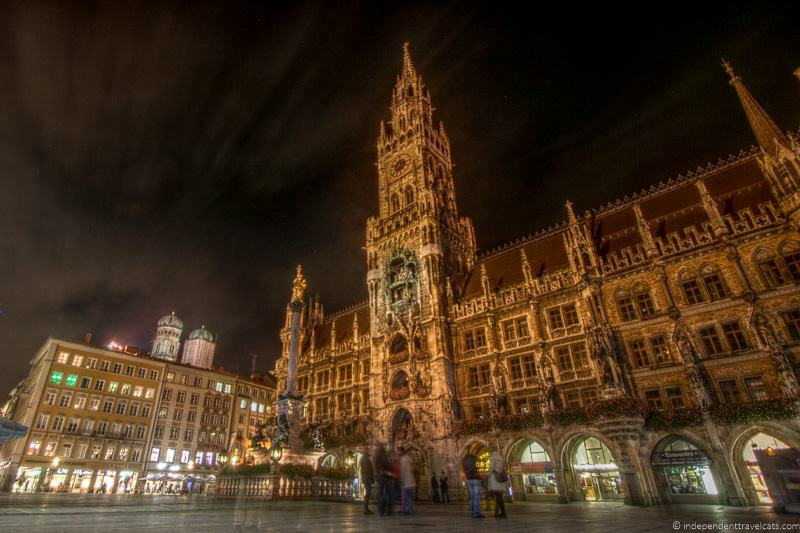 Have you heard of the Munich Greeter Program? If you are planning a trip to Munich, you should definitely check out this program which matches new visitors to the city with a local greeter that will accompany them on a walking tour of the city. Greeters are local people who are passionate about their city and volunteer their time to show visitors an in-depth look at their favorite area of Munich. The idea for the Munich Greeter Program came from a similar program that was first started in New York City, and now many cities worldwide offer these types of volunteer walking tour programs to provide guests with a friendly introduction to their city. We were just in Munich for the first time in May and we used this program to become better acquainted with the city and to be able to get insights from a friendly local. This article will cover how you can use the Munich Greeter program, as well as our impressions of our own Munich Greeter tour. Tours are given by local volunteers living in Munich who are interested in meeting visitors and showing them a part of their city. The Munich Greeter walks last from 1- 4 hours depending on the interests and schedules of the volunteer and the visitors. The walking tours involve a lot of walking, but also make use of public transportation as needed. Tours are intended for individual travelers or those in groups of six or fewer people. To sign up, you fill out the online form specifying your contact information, dates and times you would be available for a tour, size of your party, language(s) you would feel comfortable having the greeter speak, your interests (history, food, World War II, architecture, gardens, etc. ), and any other pertinent information (e.g., mobility issues). Once you submit the form, you’ll soon receive a confirmation e-mail to let you know they received your form and are looking to match you with a greeter. 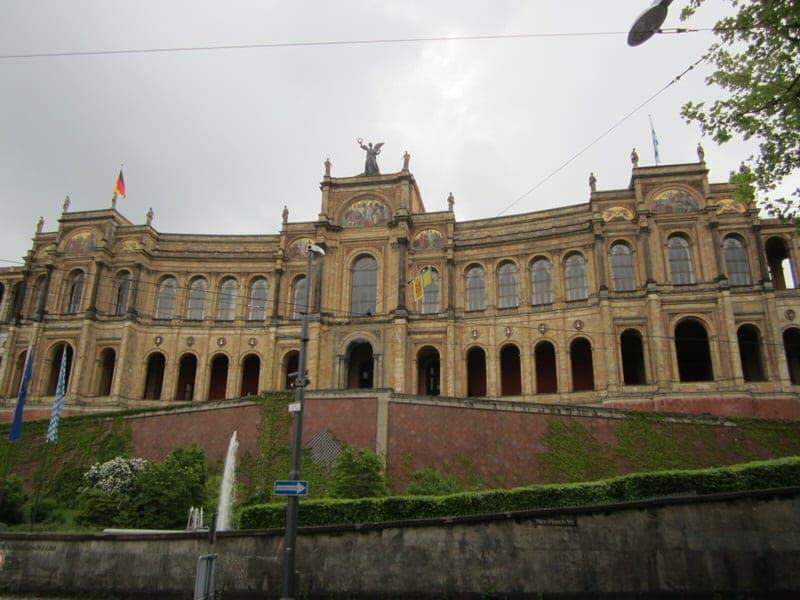 Then, hopefully, you’ll receive an introductory e-mail from your Munich Greeter guide who will discuss the details of your tour with you and set up a meeting place and time with you. The program suggests that you contact them at least 4 weeks prior to your trip, if possible, to give you the best chance to being matched with a greeter who is available during your specified dates. However, if you are booking later than this, try to be as flexible with dates and times as possible to maximize your chances of finding a greeter. The tour is completely free (except for any public transit, attraction, or food costs) and you should not try to give any money to the greeters as they are not allowed to take tips. However, if you want to show your appreciation by offering to pay their bus fare or buying them a cup of coffee you can do so, but it is certainly not necessary. Donations can also be made to the Munich Greeter Program online through Paypal. Just note in your form or e-mail them that you are interested in donating, and they can tell you how to do this. To request a tour or to contact the Munich Greeter Program for more information, please check out their website here. You can also search for other greeter programs in Germany and elsewhere here. Who can sign up to use the Munich Greeter Program? Anyone planning to visit Munich can request a tour with a greeter through the Munich Greeter Program! 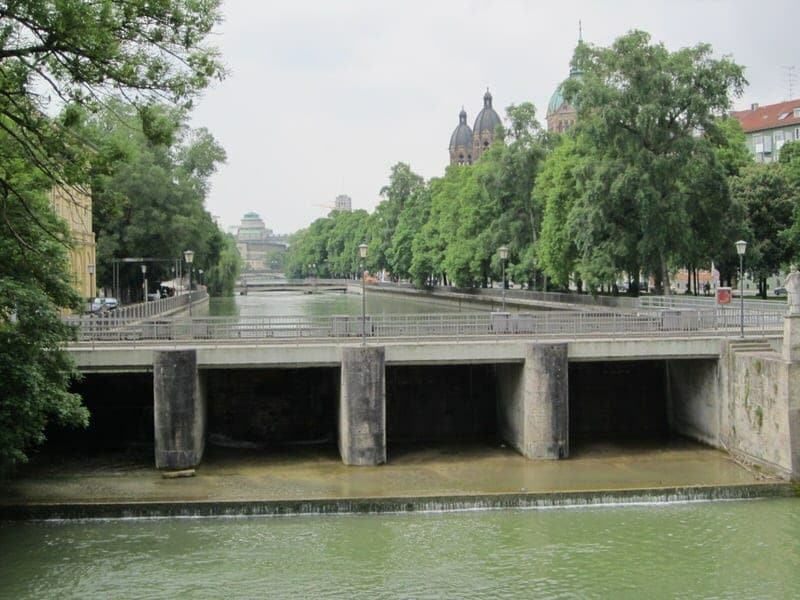 However, these tours are not intended for people who are just interested in seeing the big highlights of Munich, but are designed so that the greeter can show you both big highlights and lesser-known places of a specific area of Munich (often the area in which the greeter lives or works). The Greeter program may also not be a good fit if you have a lot of requests and demands on what you want to see during your walking tour. 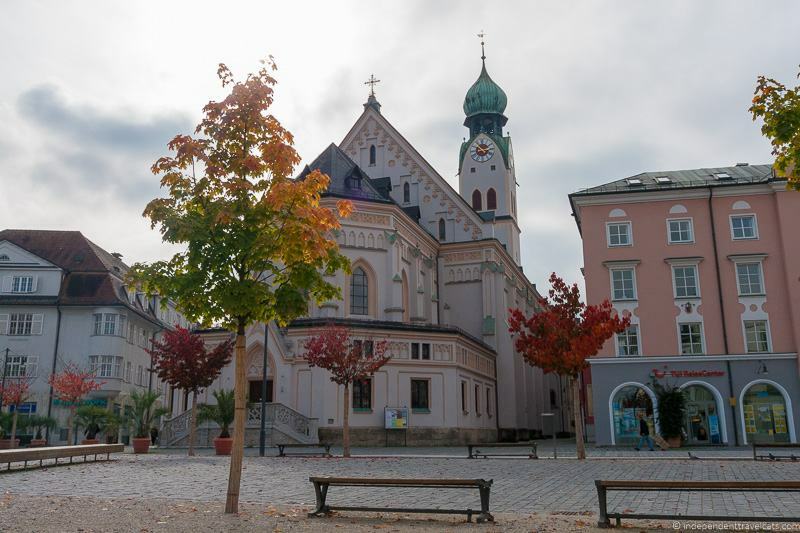 The program is designed to give visitors a special introduction to a certain area of Munich and discover some of that area’s history, charm, and special places. If you have a list of specific things you want to see on a tour, there are plenty of other tour companies in Munich that can cater to these needs. If you are open, flexible, and interested in discovering some new places with a local Municher, this is the program for you. Ethan and I submitted the online form on the Munich Greeter Program with our possible dates and times (we provided them with two possible dates) about 2 months prior to our trip, and we got a confirmation e-mail later that same day from one of the coordinators. Then 3 days later we got an e-mail from the greeter they had matched us with. So it was super fast for us! We then e-mailed back and forth with our guide—his name was Tobias (Toby)—about what we were most interested in learning about and he suggested a tentative route for a 3-hour walk. We then set up a specific time and place to meet once we got to Munich and Toby was very helpful in giving us directions and answering any questions we had about arriving in the city. So we had arranged to meet our greeter Toby at Sendlinger Tor—one of the old city gates— and we were staying in an Airbnb room only a few blocks from the old city gate. 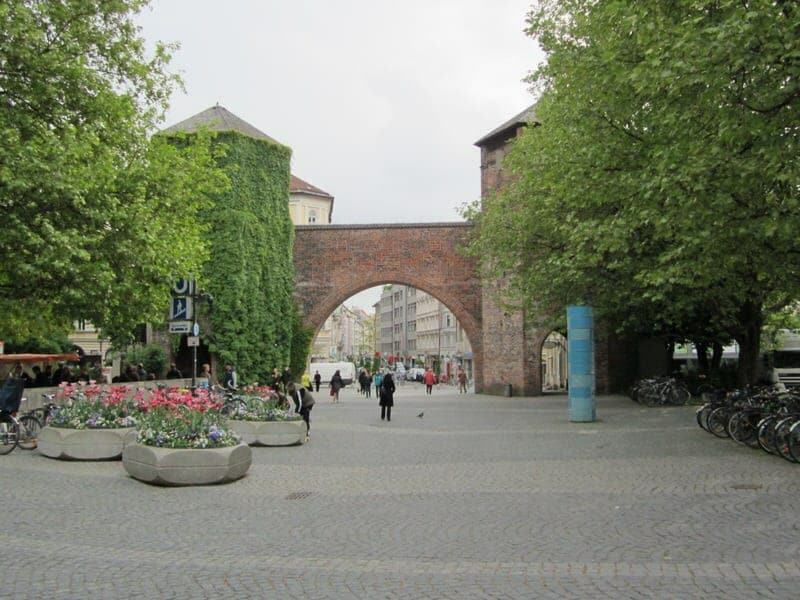 However, for some reason we confused another arch nearby with the Sendlinger Tor and once we learned our mistake and received directions from a nice pharmacy employee, we were 10 minutes late for our meeting. But Toby was there waiting for us and we set off on our tour of the city. Unfortunately, the weather didn’t cooperate with us, and it lightly rained off and on during the tour and was quite windy, but we had come prepared with an umbrella, jackets and hats. Along the tour we walked a lot but also took about every type of public transportation (tram, bus, and subway) as we covered quite a distance during our walk. 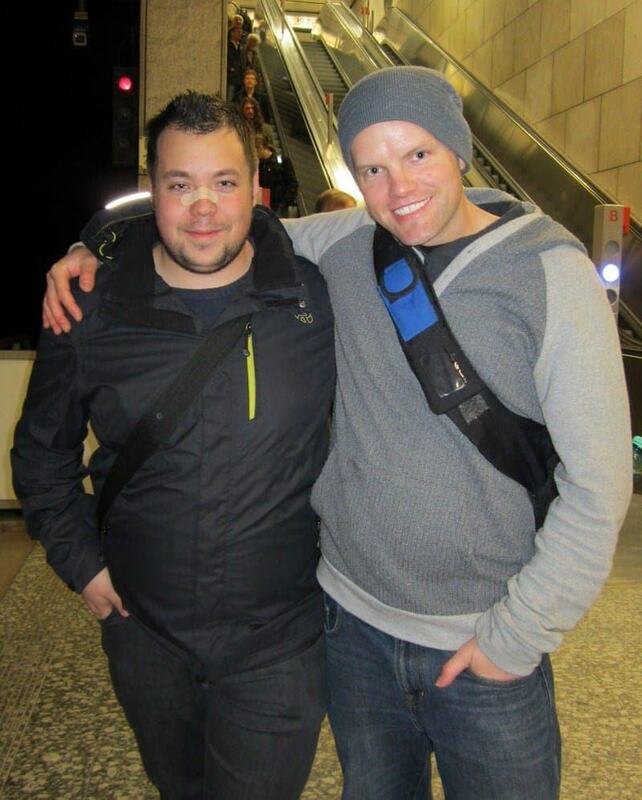 Toby was friendly and approachable and we felt very comfortable during the walking tour. Toby had researched many of the attractions and areas he led us through during the walk, so he was able to tell us a lot of information about the areas and answer many of our questions. Since it was only the two of us it also allowed us to ask a lot more questions than we would have been able to do on a larger tour. Toby had worked and gone to university in many of the areas we visited so he was very familiar with the areas and knew many of the lesser-known sites that would have otherwise been very difficult for us to find on our own. 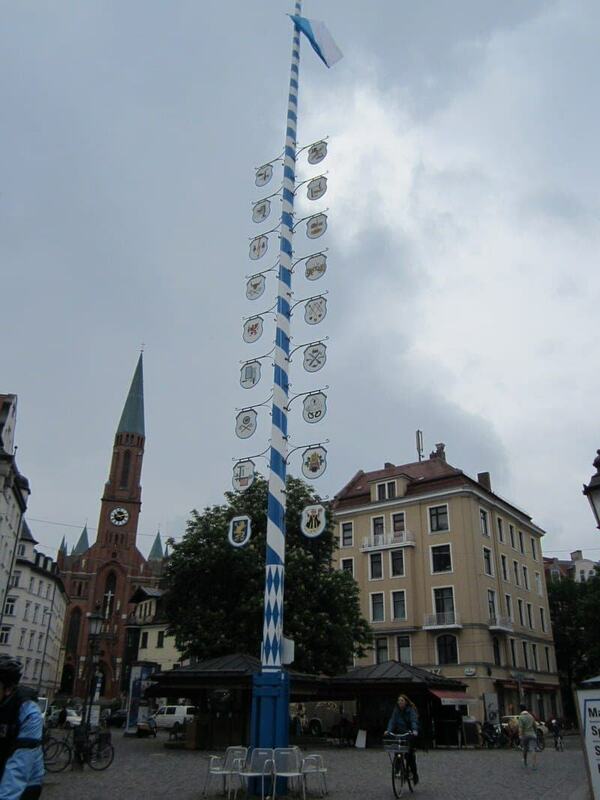 Toby explained the history of maypoles and their current use in Munich and the rest of Bavaria. 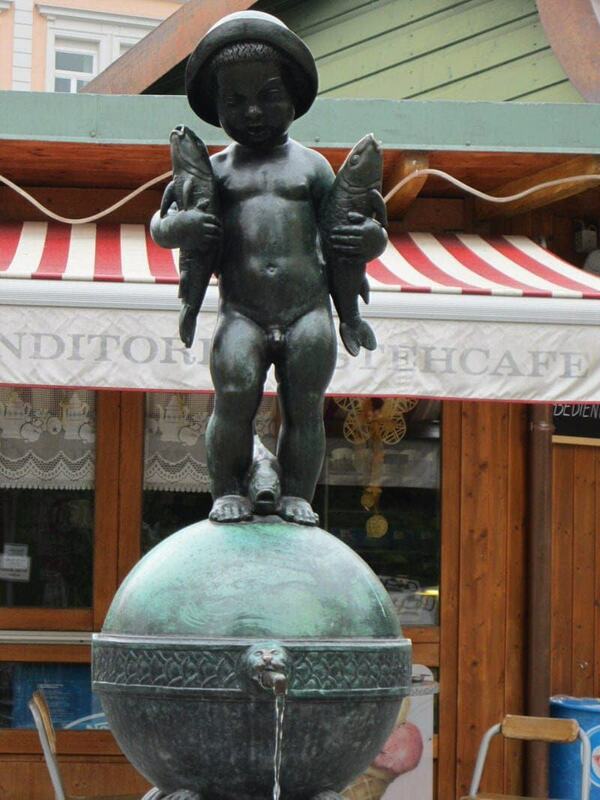 Toby described the interesting history of this statue and why residents on both sides of the fountain kept moving it around so the boy’s bum would face the opposite direction. We learned the story of how the Pope came to approve of the strong Lenten beer brewed by the Paulander monks as an appropriate drink for consumption during Lent. Since Toby works in city planning, he was able to explain the history of public transit in the city and future expansion plans. 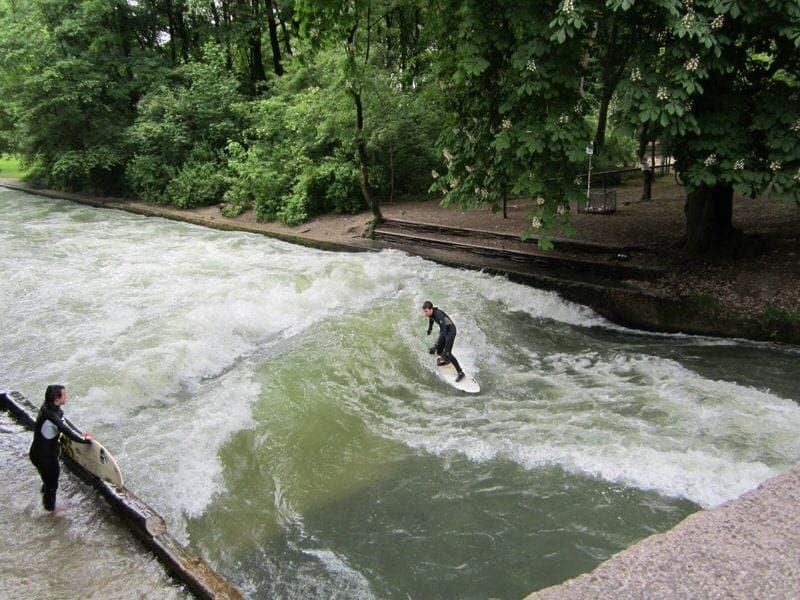 We were able to see parts of the English Garden and the famous surfers of the Isar River. 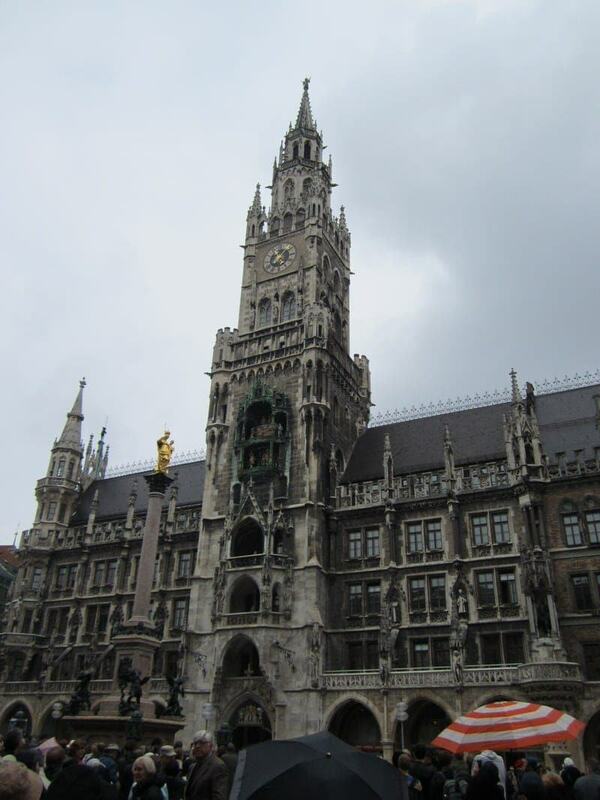 We walked through the Marienplatz, Munich’s main square, and were there to see the popular glockenspiel show at the New Town Hall. Toby also explained the history of Oktoberfest while we were there. 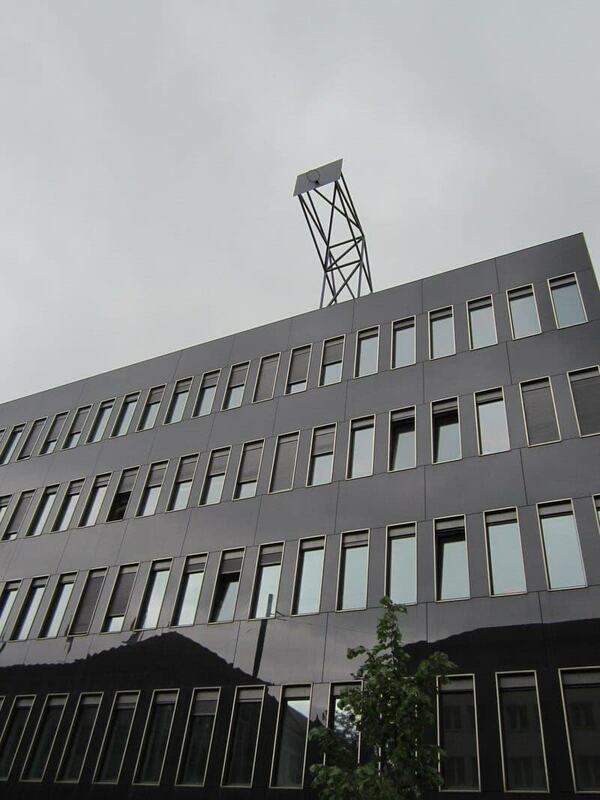 In addition to some of the famous, old buildings, he also showed us some of the new modern building which are just as much a part of Munich (and the rest of Germany) as the old. For a much-needed coffee and pastry break, we visited a hidden university café that offered a spectacular view of the city. We had a wonderful experience using the Munich Greeter Program from our first contact with the program coordinator to the impressive personal tour given by our greeter Toby. Even with our guidebooks and other resources, we would not have found or learned about half the places we saw along this tour on our own. If you are planning to visit Munich for the first time and have a schedule flexible enough to include a 2-3 hour tour of the city, we can see no reason why you should not schedule a tour with the Munich Greeter Program. Feel free to send along any questions you have about our experience in using the Munich Greeter Program. Have you used it? We’d love to hear your impressions! Cannot find a working address for for Munich Greeters… just get 404 error message. The Munich Greeter program is still using the same website (https://munich-greeter.de/) listed in the article and is working fine for me. Maybe try clearing your browser and trying again? What an awesome programme to have in Munich, I will be checking this out! Yes, the Greeter programs are great! Wow – I had heard about this in passing but figured there must be some sort of catch. But it sounds like a great program! I’m so glad I read this as I will definitely be checking them out when we go over next spring. It’s always so much fun when you can discover a new place with someone who’s really interested in where they are. And it’s a great opportunity to pick up other recommendations (smile)! Hi Meredith, yes, you should definitely check it out if you are going to be there in the Spring. No catches that we saw. We had a really good experience with Munich Greeter. What an awesome program! There’s nothing better than to have a local show you his or her Munich (or any other city). You’ll learn so much more on something like this than on one of those big-company walking tours. And how cool that you got to take some time to get to know a local. I’ll definitely check this out next time I’m in Munich! Thanks for stopping by Meghan! Yes, and there are many other similar greeter programs in other cities in Germany and other countries as well that you can check out. Yes, isn’t it wonderful! These types of programs started in NYC because so many tourists thought of New Yorkers as unfriendly, haha. It’s always so nice to meet a friendly local who is willing to show you around their town or city. What a fantastic resource! I am considering a trip to Munich in the spring, and this sounds perfect for my preferred style of exploring a new place. Thank you for sharing this! Yes, it was a really wonderful experience for us. If you do go to Munich next year, I would suggest signing up for a greeter tour. It’s a great way to learn about a new city.